John Wick – Don’t set him off! Directed by David Leitch and Chad Stahelski. John Wick (Reeves) is a former hitman who has left the business because he had fallen in love. Unfortunately, Helen (Moynahan) was dying of some disease and after her death she had a puppy delivered to John. He takes his car out and some gangster named Iosef (Allen) takes a liking to the car and asks John “How much?” John informs him the car is not for sale. The gangster undeterred breaks into John’s home with his buddies and they beat John, steal his car and kill his dog. They take the car to the local chop shop owned by Aurielo (Leguizamo) who tells them to take the car some where else. The next morning after burying his dog John takes a bus to the exact same chop shop. We find out in a hurry that John Wick was not the kind of man to cross. The action sequences in this film are excellent, the shootouts provide stunts that have not been seen before, and our hero is not indestructible which leaves the audience wondering if he will survive. There are several excellent shootouts with some clever moves and smart sequences. 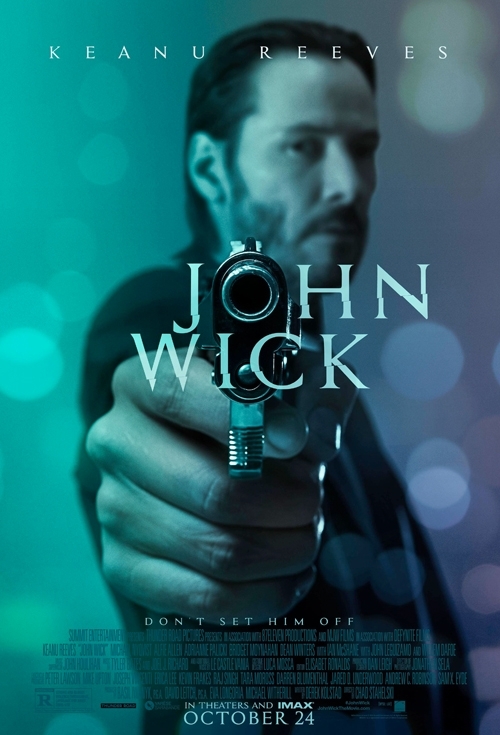 The movie has John Wick fight a man named Kirill (Bernhardt) and the two men are equally matched. This gives us several great scenes that make this movie worth a watch. I give full credit to the directors David Leitch and Chad Stahelski they have made a great action movie that I fully enjoyed. I guess there is a new formula in Hollywood and it seems to be working. Directors’ Previous Movies: This is the first movie for both directors.